The original for this picture is an egg / oil tempera on paper. 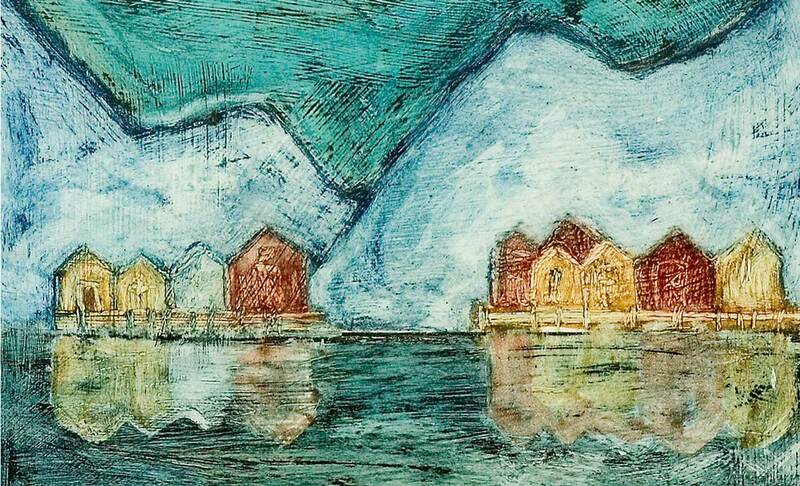 It shows the boathouses as you will find them along the norwegian coast. It is painted in 2005.